This is my Sparkling Confetti Quilt. 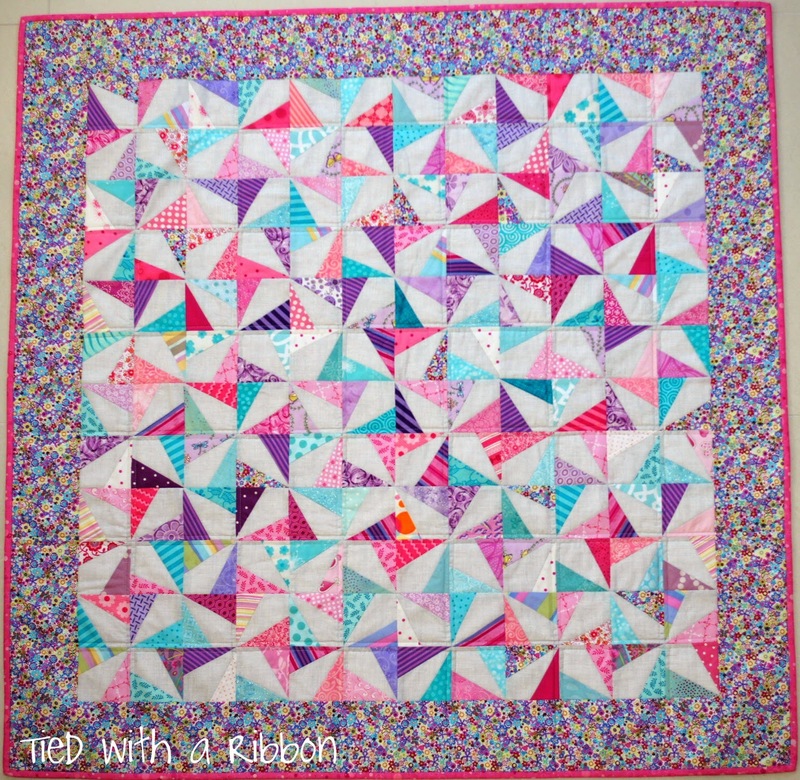 Made with lots of pink, purple and aqua fabrics from my stash. Some of the pieces are actually the last few pieces I had of some of my favourite fabrics. I have used Sketch by Timeless Treasures as the grey fabric to off set all the coloured pieces. 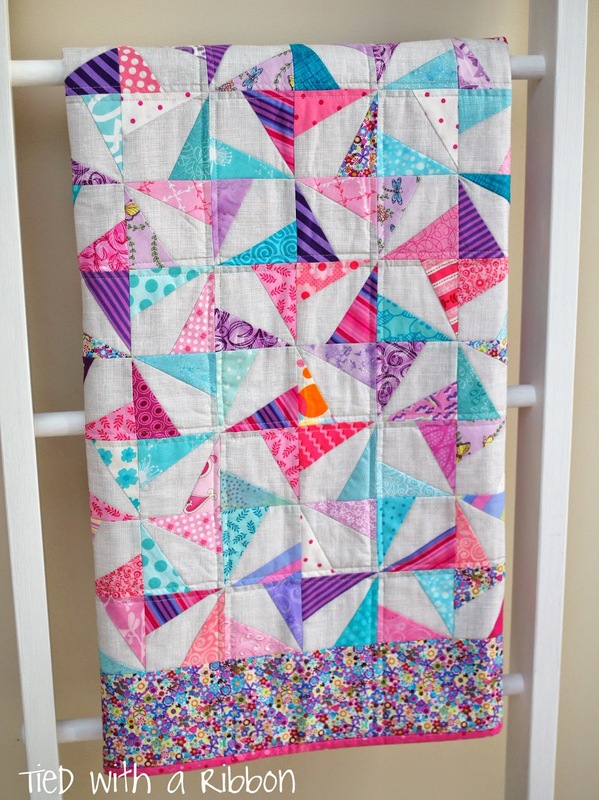 The border fabric is by Michael Miller and has the sweetest butterflies and flowers on it. 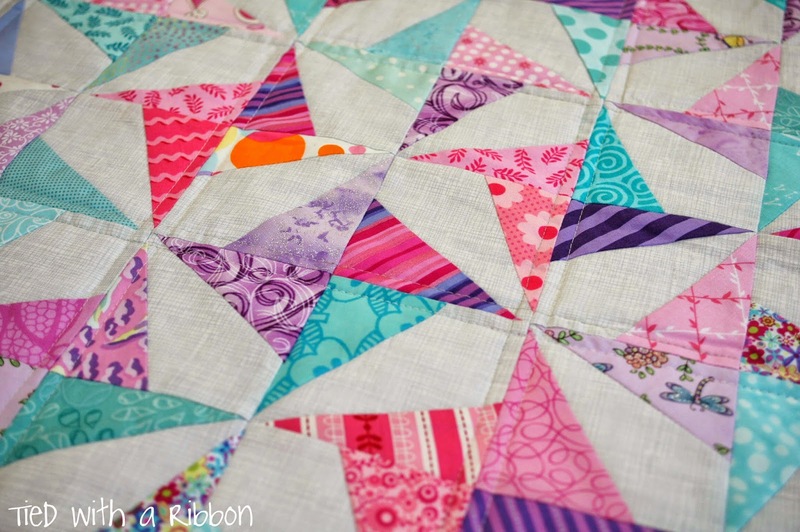 This fabric inspired the colour range of fabrics used in this quilt. 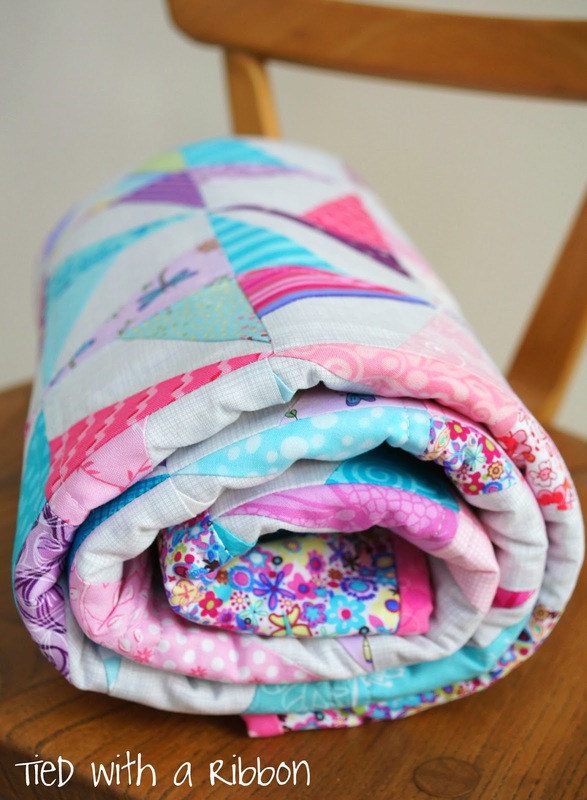 The quilt is 112cm x 112cm (44in x 44in) in size making it a great quilt for a young child or toddler to snuggle or use to travel with. 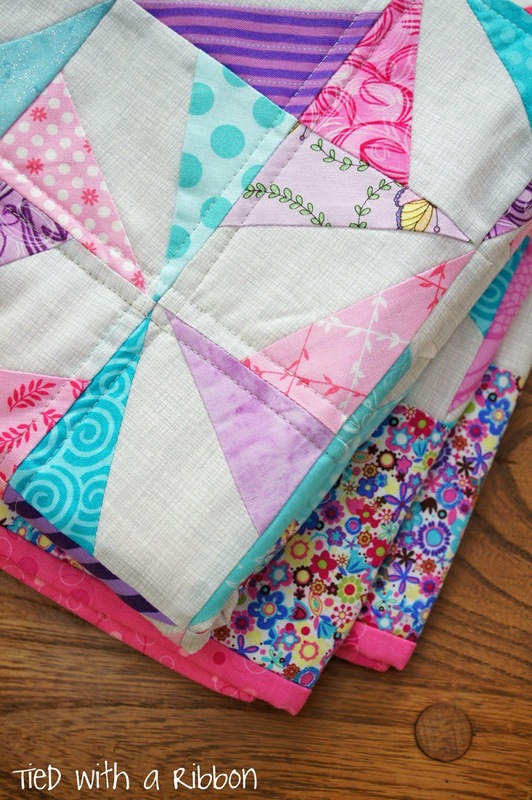 The quilt was pieced with Aurifil cotton in white - #2024 - 50wt and was machine quilted using Aurifil cotton in a favourite of mine - variegated grey #4060. 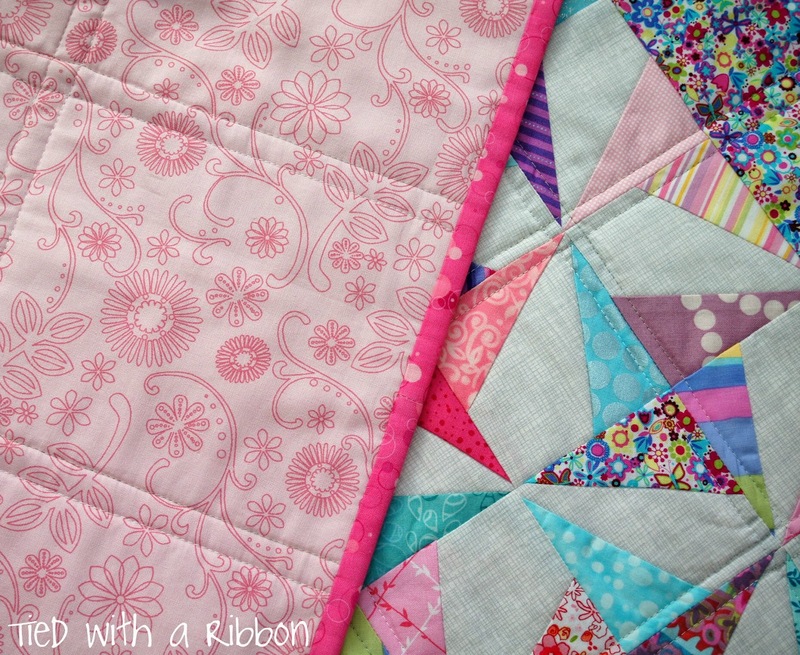 I have quilted tramlines over the quilt to keep the quilting out of the way of the beautiful confetti effect of the blocks. This backing fabric has this beautiful floral design and I used a hot pink fabric with bubbles for the binding.